← What’s On Your Workbench? This entry was posted in Collections, Commentary, Vintage and tagged 1954, christmas, hifi, merry christmas, radio & television news, trusonic, vintage radio, vintage speaker. Bookmark the permalink. 4 Responses to Merry Christmas from Retrovoltage! Merry Christmas from Racine, WI. The Philips Radio sounds and looks great. Too bad it didn’t have FM. I just picked up a Zenith 12H090 Combination AM-FM, SW and Record player and I am looking forward to restore it. It have both FM bands. 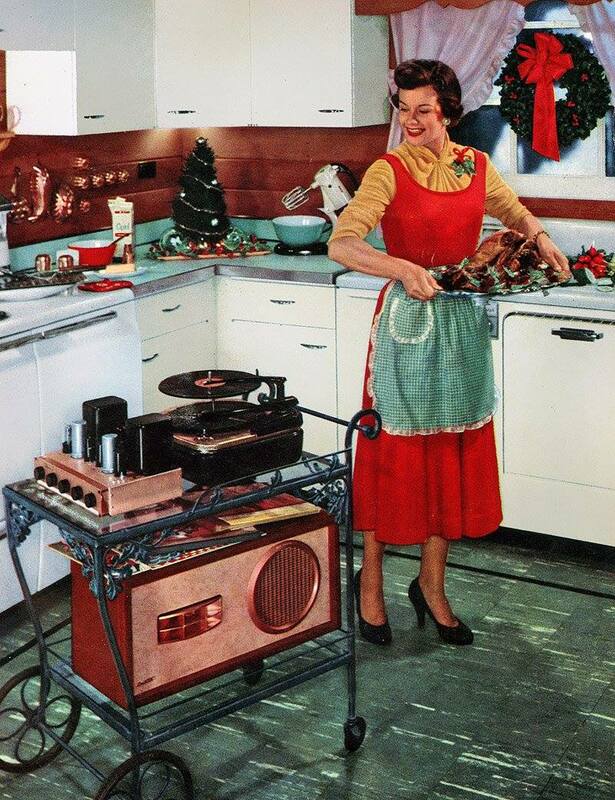 Hope you have a Happy New Years too.Have you had any luck modifying the old 78 RPM Record players to play 33 1/3? Both FM bands? What a rarity, very nice! Sadly, you’d be better off ripping out the (dubious quality, difficult to restore anyway) 78 player and putting in a new modern plate phonograph in its place. Not worth the effort to try and modify it.